Teaches artists of all skill levels how to achieve realistic portraits of their favourite feline pets; from choosing the right tools to mastering valuable techniques. feline features, such as different fur textures, expressive eyes, and the sleek shapes and forms that make these animals fun and extraordinary subjects. 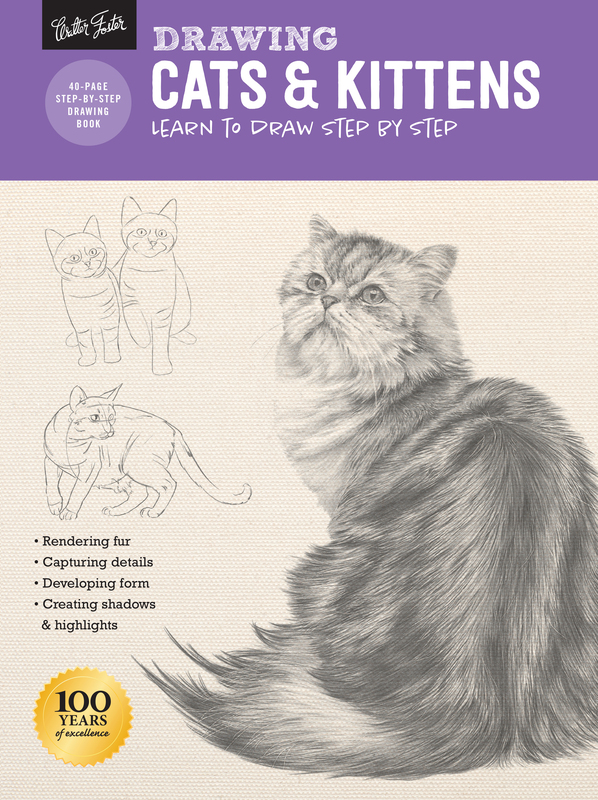 Drawing: Cats & Kittens guarantees easy-to-master techniques and valuable, detailed instruction that will help you achieve beautiful cat portraits with the realistic results you've been searching for. Walter Foster Creative Team (Author) Founded in 1922 by artist Walter T. Foster, Walter Foster Publishing, an imprint of The Quarto Group, is the world's leading publisher of instructional art books and kits for adults and children. Walter Foster's diverse selection of drawing, painting, doodling and mixed media art books and kits have created a foundation for millions of beginning, intermediate, and advanced artists looking to hone their talents, learn new techniques, and discover different mediums. From colour mixing recipes and art tools to the fundamentals of drawing and painting, Walter Foster's books cover a wide variety of topics and mediums across a broad spectrum of traditional and eclectic subject matter for artists of all skill levels. Walter Foster Publishing continues to expand its offerings every year, producing cutting-edge art-instruction books and kits for a worldwide audience.